Including New Research Supporting Reich. Click here for a printable download PDF Flyer for the Seminar, to share with others. Bluest Water in the World! Sponsored by the Orgone Biophysical Research Laboratory (OBRL). 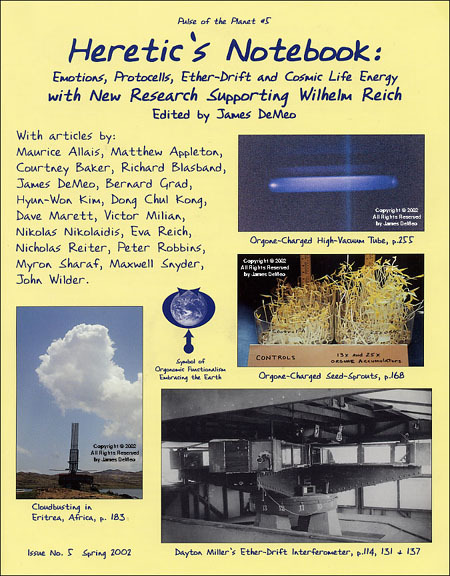 There are three major seminars or conferences on Wilhelm Reich and Orgonomy this Summer, offered by three different and independent organizations, which everyone on our list should know about, and help to promote. Here they are, in brief listing. Please re-send these out onto your various social networks. Sponsored by the Wilhelm Reich Museum, Summer Conference at Orgonon. Recently I received several letters asking about Wilhelm Reich’s discovery of the bions, their origins and development, and on the subject of Brownian motion, the jiggling of small particles in water, as seen in the light microscope. 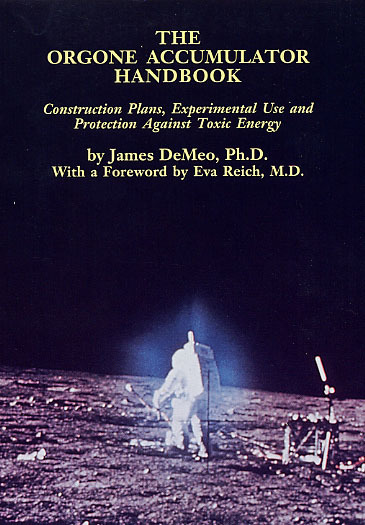 These prompted development of the following general response, a bare-bones summary with reference material for the modern day student of biology, and professionals. Some new information is also provided. Free-floating bions from a preparation of autoclaved grass. 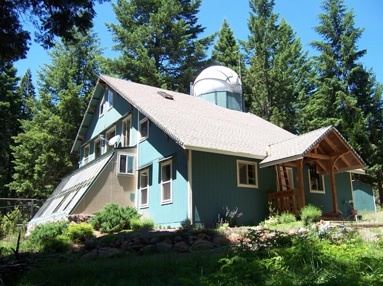 Over a five-year period in the mid-1990s, my institute, the Orgone Biophysical Research Lab (OBRL) sponsored annual Summertime lab seminars on "Bions, Cancer Biopathy and the Reich Blood Test". I was part of a team of professionals who made the lectures, microbiological preparations and demonstrations of bions and bionous processes, using high quality sterilization and ultra-filtration equipment, and the best light-microscopes available. These included a Leitz Ortholux light microscope and a Reichert microscope of the same model used by Reich in his original experiments (donated to OBRL by Dr. Morton Herskowitz, with other apparatus donated by Dr. Robert Dew and Dr. Louisa Lance). Both of these microscopes had the best-available color-compensated apochromatic objectives and eyepieces, and were able to image living preparations down to 5000x. A review of bions made from sand, clay, iron filings, disintegrated moss and grass, and from blood or tissues, were made as a matter of course over the several days of those annual Summer seminars, with many photographs. Their motional properties were also studied and captured on videotapes. 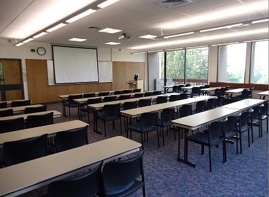 Eventually I gave a lecture, "Contemporary Bion Research: Support from Modern Biology", given at the Second International Symposia on Pleomorphism in 2000, showing various color images as recorded through the microscope during those seminars. An article on those seminars was also published in 2002, in the OBRL journal Pulse of the Planet #5: Heretic’s Notebook, detailing the procedures and results, with photomicrographs of the samples we routinely prepared and observed: "Bion-Biogenesis Research and Seminars at OBRL: Progress Report"
Those seminars provided the opportunity to replicate some of Reich’s more complex bion experiments, as well as simpler ones. Over the years our team instructed around 130 students and professionals in the basic preparation techniques and processes for observations of bions, the bionous organization of protozoa, and also techniques and procedures for the Reich blood test. As to the Brownian motion itself, there were a few points not included in the summary article I mention above, but which suggested these motions are not the product of temperature alone, or even primarily. Bions obtained from different materials expressed this jiggling motion at different intensities, based mostly on size and composition, and irrespective of temperature. The most intensive motions were observed in quartz powders, or glacial rock dusts, as sometimes used by innovative farmers and foresters for soil health. While we never tried the obvious experiment to influence bion motions with an orgone accumulator, there were anomalous variations in the motions observed on many occasions which had nothing to do with temperature, and which strongly suggested orgonotic parameters. 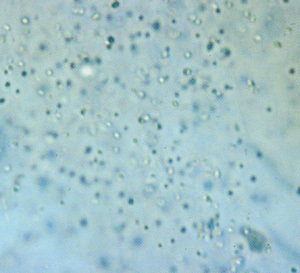 For example, in the cool mornings, it was typical for the bions to show a strong movement and jiggling as seen in the light microscope — the preparations were a tiny bit of rock dust in ordinary tap water, placed on the microscope stage with a cover slip, viewed at various magnifications from 500x to 2000x. However, around 4 PM or so, which is the peak temperature of the day, the bions on those same microscope slides would frequently just lay down on the bottom of the slide and do nothing, in violation of a direct temperature-motion relationship. One small particle might occasionally lift up from the bottom and dance around for a few seconds, but then settle back down to the bottom of the slide. The same slide would show an absence of motions during the night, but vigorous bionous motions would reappear the next morning and day, though never in direct proportion to temperature. One must also realize, the bions themselves are highly-charged vesicles of life-energy, and Reich called them orgone energy vesicles based upon his early observations of sand bions, which produced a strong bluish and highly anomalous radiation with biological properties. Such bions are most obviously seen in preparations from beach sand, quartz dust or clays, heated over a torch to glowing incandescence, or from some kinds of slow biological disintegrations as with grass in water. They produce well formed ovoid shapes, like tiny robin’s eggs of about 1 micron diameter, and nearly always with a glowing bluish interior and bluish energy field, which are excited into lumination by the microscope light source — and even more vividly blue when viewed in natural Sunlight, or (with eye protection) in UV-supplemented microscope light sources. Living red blood corpuscles also show a bluish energy field under color-corrected optics. Bions from iron dust are somewhat different, also ovoid like a robin’s egg, but red in color, and in my experiments were generally clustered together like grapes on a vine. When two bions approach each other, they frequently are attracted together and create luminous blue-colored bridges between them, after which they rarely separate, but dance around together. This led Reich to suggest the phenomenon of orgonotic lumination to explain both the color intensity and the attractive force. This was one of several lines of evidence noted by Reich that the excited orgone energy had a bluish color with other unusual properties in such excited states. Today of course all those basic observations and laboratory experiments have been confirmed repeatedly in many published papers with photographs, no matter how loudly the "skeptics" declare that bions do not exist, or "only Reichians" can see the bions. My observations over those years of the Bion Seminars indicated, the most highly-charged blue bion particles had the strongest movements, suggesting the bion’s own intrisic charge determined its motility, all other factors being equal. As Reich noted, the orgonotic parameter in the bions appears to be the motor behind the "Brownian" motions, a point which Robert Brown came close to understanding in his discussion on "active molecules" — only years later did others (notably Albert Einstein) make the claim that Brownian motion was due to temperature effects alone. As Reich noted, his work suffered the burden of being "too much" for the average person, including the average scientist or physician. Too many puzzles were solved all at once, and in the bion experiments this is most noteworthy: A solution to the origins of life question. Solving the riddle of the origins of the cancer cell. Discovery of a new and unique biological radiation, the orgone energy. And by my own observations of modern scientific discovery, Reich’s work on the bions predicts such things as "apoptosis", or bio-forms in Martian meteorites, or the existence of life deep in the oceans along the hydrothermal vents, where photosynthesis is impossible due to the lack of light, and ultra-hot temperatures which do form bions, would usually predict the absence of living forms. It is still "too much" for most of natural science and medicine, but there are cracks in the wall of opposition. Roberto Maglione: The Motions of Life: Was Einstein Really Modelling Brownian Movement? Also a new one on the subject of Reich’s bion experiments was just published by Harvard University Press – a copy to OBRL is now en-route, and we hope to publish a separate Review of it soon. James Strick, Wilhelm Reich Biologist. The OBRL bookstore does not yet have copies of the Strick book to offer, but it is now available from various brick-and-mortar, or online booksellers. Presenters: James E. Strick, Ph.D. & Kevin Hinchey Professor and science historian James E. Strick of Franklin & Marshall College and Wilhelm Reich Infant Trust co-director Kevin Hinchey discuss the creation in 2011-2012 of a syllabus for a one-semester college course on the life and work of Wilhelm Reich. 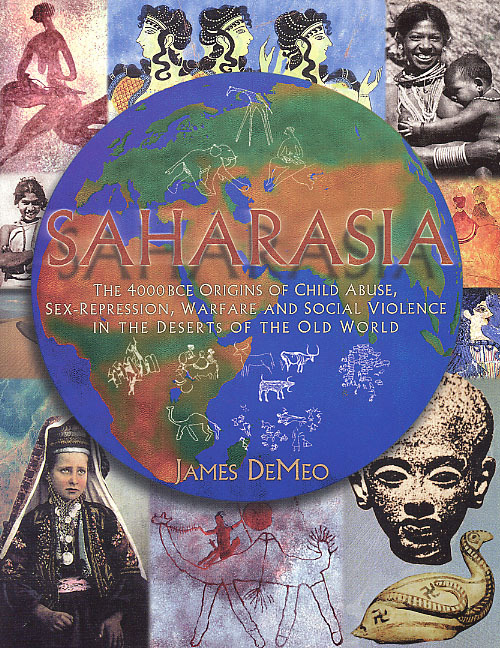 “Teaching a College Course on Wilhelm Reich” Presenter: James E. Strick, Ph.D. Adapting this basic syllabus to his own style and to standard academic requirements, Professor Strick first taught this course as a science elective at Franklin & Marshall College in the 2013 spring semester and is now teaching it again in the spring 2015 semester. Strick will discuss the challenges of teaching this course, his interactions with students in the classroom, and the students’ written work. “American Biologist Helen E. MacDonald and Her Work with Wilhelm Reich” Presenter: C. Grier Sellers, Ph.D. U.C. Berkeley trained biologist Helen E. MacDonald studied with Reich, working as a research associate in his laboratory in the early 1950s. Drawing on archival material, Sellers will discuss MacDonald’s background, her interactions with Reich, the findings and ideas emerging from her research in his laboratory on cancer and on the origin of life, and the potential scientific implications of that research. Sellers is a biologist specializing in studies of protistology and symbiosis. He has conducted experimental research on endosymbiosis and foreign organelle retention in Antarctic protists, and has taught college biology courses in New Jersey and Pennsylvania. 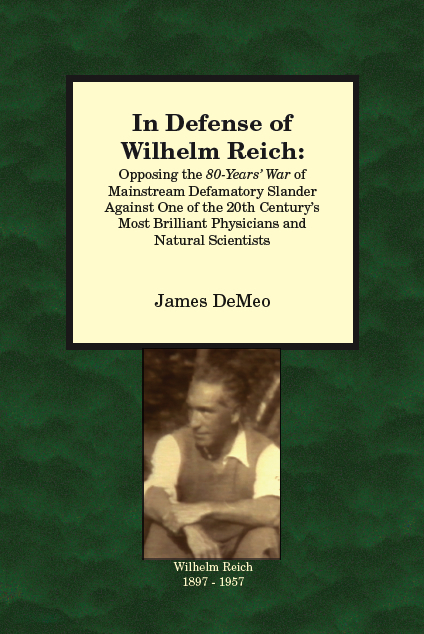 “NEW BOOK: Wilhelm Reich, Biologist (Harvard University Press, Spring 2015) Presenter: James E. Strick, Ph.D. This book about Reich’s early laboratory work was written by science historian James E. Strick and is now available at: http://www.hup.harvard.edu/catalog.php?isbn=9780674736092. In two morning sessions, Strick will discuss his research for this book, his talks about Reich’s biological research at conferences of the History of Science Society (H.S.S. ), his submission of his manuscript to Harvard University Press, the solicitation of feedback from science historians to this manuscript, and the subsequent publication of this book. “The Wilhelm Reich Documentary Film Project: Background & Update” Presenter: Kevin Hinchey For more information on this film project, click on: http://wilhelmreichdocumentary.com or: https://www.kickstarter.com/projects/25874147/wilhelm-reich-documentary-film-project In two morning sessions, film professor Kevin Hinchey-the writer/director of this film-will discuss his research and writing of the film storyline, early unsuccessful efforts to solicit funding for this film, the successful online Kickstarter crowdsourcing campaign in 2014 that raised money for Phase One of production, the current production of this documentary film, and proposed uses for this film when it’s completed. “The True Story of a Government-Ordered Book Burning in America” (A public talk for libraries, classrooms. community centers and conferences) Presenter: Kevin Hinchey The background and actual presentation of a public talk first given by Trust co-director Kevin Hinchey at a New Jersey public library on September 24, 2011 on the occasion of the American Library Association’s annual “Banned Books Week”, and subsequently given at other libraries, classrooms and community centers. “The Role of the Wilhelm Reich Infant Trust in Preserving and Promoting Factual Narratives: Publishing, Archives, Museum, Films” Presenters: Mary Higgins & Kevin Hinchey (co-directors of the Wilhelm Reich Infant Trust) Ms. Higgins and Mr. Hinchey will discuss the historic and current role of the Trust in bringing factually accurate information and narratives about Wilhelm Reich to newer, wider audiences. Hotels, motels, bed & breakfasts, bunkhouses, lakefront cottages and lakefront campgrounds are available in and around Rangeley. We encourage you to make your reservations early as July is Rangeley’s busy season. For more information, contact the Rangeley Chamber of Commerce: 1-800-685-2537 or http://www.rangeleymaine.com/where-to-stay.